Speed and agility, on-court and off – SS has a knack for that. This comes in handy when it comes to coding, programming or hacking (just kiddin’)! His interest in the Multimedia field begun 10 years ago, from fixing Ethernet cables (that’s the internet cable behind your laptop) and repairing computers, to interning as a designer and programmer, growing into a Senior Front End Developer in his Digital Agency experience. 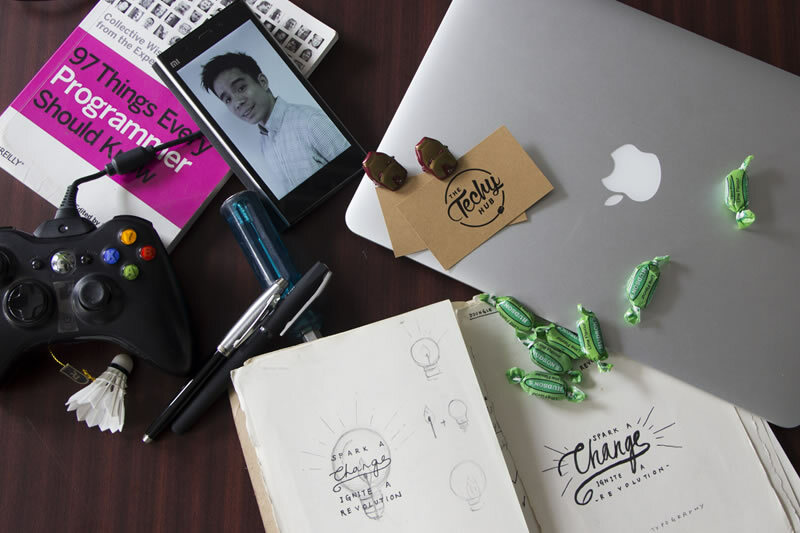 Taking a leap of faith, he started freelancing and founded SS@Work in July 2013. Fast forward two years, and he’s now his own boss here at The Techy Hub. His goal is to work alongside motivated and creative individuals, and how do they stay motivated, creative and sane you ask? – By saying goodbye to those tedious long agency hours. He may have failed at college and uni, but he strongly believes that anyone can bounce back harder and higher! He started from the bottom, now he’s here! Oh and did we mention that SS is pretty damn good at almost all sports he plays, specialising in badminton smashes and quick dribbling!